What should you know about the breed? Corgis are an active breed. They require a minimum of an hour of exercise daily (15-30 minute walk at least three times each day with play time in between); they are very trainable, and some formal training is recommended, since they have a wonderful sense of humour which they will use on you if they become bored. Given adequate exercise, clear boundaries and companionship (they love and need to be with you, wherever you are and whatever you’re doing) they are very easy to live with and most are excellent travellers as well. Grooming should be done at least once a week and more frequently when they are shedding. 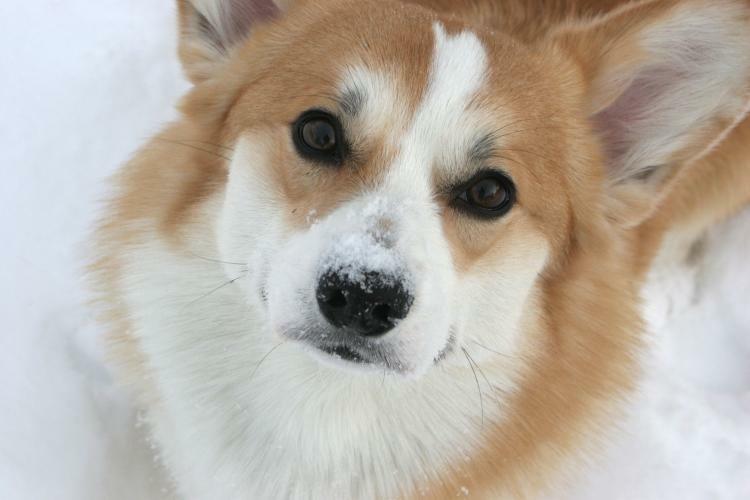 Corgis are double coated and generally do two big sheds a year but they also tend to lose a little hair all year round. Nails should be trimmed once a week. The biggest issue most people have with corgis is that they shed signifigantly! Corgis were bred to herd cattle and sheep, but they will herd anything (including the cat or squirrel across the street – traffic is not a consideration for them when they see something that needs to be herded!) For that reason, we generally prefer that they have a fenced yard in which to play. This is not an absolute requirement, however, they should not under any circumstances or at any age be left unattended or off-leash outside without an enclosure for their own protection. Corgis are very loving and loyal to their people, and, typical of many herding breeds, they can be protective and territorial. They are generally good with children if the children are good with them. Corgis typically get along with other animals if they are raised with them. What should you know about contacting us? We have an extensive waiting list for both our companion puppies and show puppies and you will be required to wait some time before we have the right puppy for you. We do also have older dogs available on occasion. It is important for us to have as much information from you as possible. Details on your premises (do you live in an apartment or single home, do you have a fenced in yard, are there parks or walking areas in your neighbourhood), your family (are there children and what are their ages – having an infant and a puppy in the house might be somewhat challenging, since both require a great deal of time and care), other pets currently in the family, your lifestyle, and your plans for and expectations of a puppy (for example: family pet, jogging partner, obedience or performance dog, etc). If you wish to apply to be on our waiting list, we require that you visit one of us and our Corgi family so you can meet the dogs in person, and we can get a better feel for your situation and suitability. If you have any questions or wish to make an enquiry for a corgi, please don’t hesitate to contact us.